Home News Heartfelt Condolence : दुनुगलंनिसे बिचाः हायेका ! Dear NOA Founding, Life Members, Friends & Community Members! 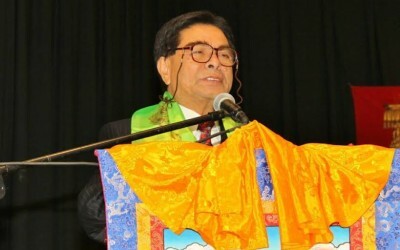 The Newah Organization of America (NOA) families are deeply saddened to share the sudden passing of Mr. Chakra Raj Timila, beloved father of NOA’s President Mrs. Babita Shrestha and father-in-law of Mr. Kiran Shrestha. 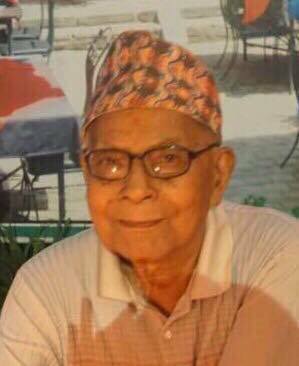 He passed away at age 92 on Friday March 23, 2018 in Bhaktapur, Nepal. He survived by son Rajesh Shrestha, daughter-in-law Surekha Timila, Daughter, Son -in-law, three grand sons and one grand daughter. Writing was his passion, he wrote several books mainly on his journey of his life & family. He took the time to research back to the family ancestry roots of 17 generations. We regret the loss of one of our own very important Newah community members who touched many lives and contributed so much during his life. The NOA would like to extend heartfelt condolences to the entire Timila family. May god give strength and peace to the entire bereaved family members. 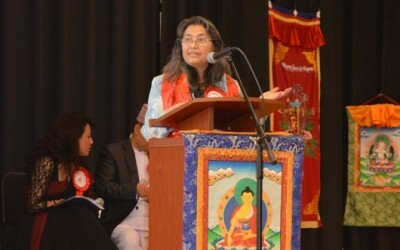 Our thoughts and prayers are with Mrs. Babita Shrestha family and loved ones during this difficult time. Lets pray for the eternal peace of the departed soul.